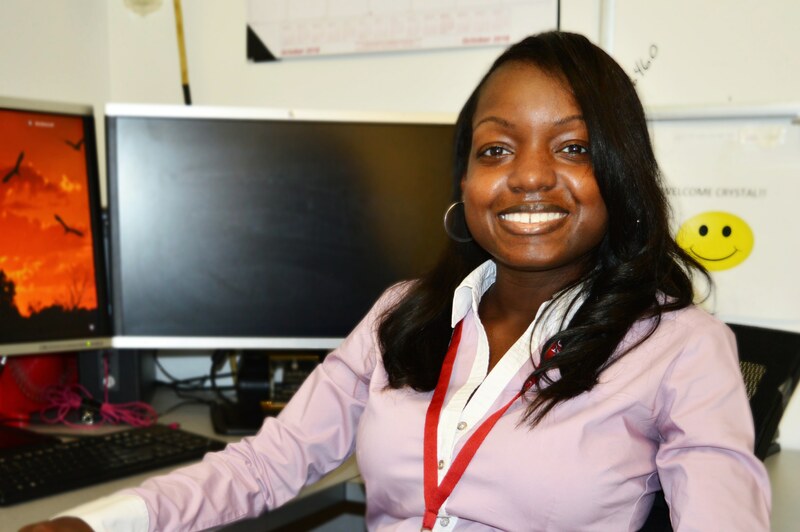 Crystal Miller is a Program Manager for CAMBA’s Health Link program. There is much to say about this wonderful employee, but one of her most appreciated qualities is her can-do attitude about any task given to her. Crystal accepts and completes any and all task brought her way and she does it all with a positive attitude. Her dedication and strong work ethic make her a great leader to her team of care coordinators and supervisors. Read more about Crystal’s exemplary story below. What do you do at CAMBA’s Health Link Program? I manage a team of Care Coordinators and Supervisors whom provide services for Medicaid recipients with chronic illnesses. My position requires coordination and management of program services and a variety of administrative and clinical activities. This includes crisis intervention, audit preparation, program reporting, staff training and hiring activities. What is it that you like about your job? What about it makes you feel most satisfied? I like my job because I am constantly challenged. I work in a fast-paced multi-faceted program. Every day is different and demanding, which I find exciting. The challenges of the work have also helped me to grow personally and professionally. My position allows me to interact with employees on all different levels of the agency and to learn something different from each one of those individuals. Is there an experience specifically that made you especially proud of the work that you do? Despite being in management, there are some times when I get to interact with clients, which I enjoy. There was one day last winter when NYC was in the middle of an arctic blast and the temperatures were extremely low for multiple days. I was informed that one of our elderly clients, in her 80s, had been without heat or hot water in her apartment for 3 consecutive days. The client called her landlord multiple times, but no one ever came to address the problem. Upon hearing this, I started to make calls to the management company of the client’s housing development and to 311. When my office mate overheard what was going on, she pitched in and started making calls as well. It took a few hours and a bunch of calls, but by the end of the shift the client had heat in her apartment. The client was extremely appreciative of the assistance, which of course made me feel great. Teamwork is a common theme in my program. Everyone is willing to help each other out and it makes a difficult job, a little easier. I also found it satisfying that my colleague volunteered to help [in this instance] despite all of the work that I’m sure she had to do. This job has shown me that I really have a passion for helping people. I hope to take the skills and knowledge that I have learned here and apply them in my own non-profit agency one day.